CTIA 2012 is one of the biggest shows focusing on wireless technology for the year, and while we’ve already seen CES and MWC, this one here differs by putting a strong accent on the US market. First, the dates - the show of the Cellular Telecommunications Industry Association will be held in New Orleans from May 8th to 10th, with pre-show events scheduled for May 7th. This is a departure from the earlier tradition of holding CTIA in mid to late April, and gives more time for manufacturers to get devices ready. With the big shows like CES in January and MWC in February, CTIA would usually come too soon in April getting only the leftover announcements. Some products would make an entry at CTIA, but it would generally lack much of the fuss. Hopes were that moving to May would fix that, but Samsung might have spoiled that attempt. The Korean company scheduled its own Galaxy S III event for May 3rd in London, a gathering that will steal much of the spotlight. In previous years, Sprint has traditionally been one of the best represented carriers - it used the show to unveil the original HTC EVO 4G, the first 4G US phone, in 2010, and in 2011 it brought the HTC EVO 3D. But this year, the carrier has already announced the HTC EVO 4G LTE, robbing the show of one potential launch. And while we expect a couple of handsets to make their official entry at this show as well, in 2012 the focus might move from phones and specs to spectrum. 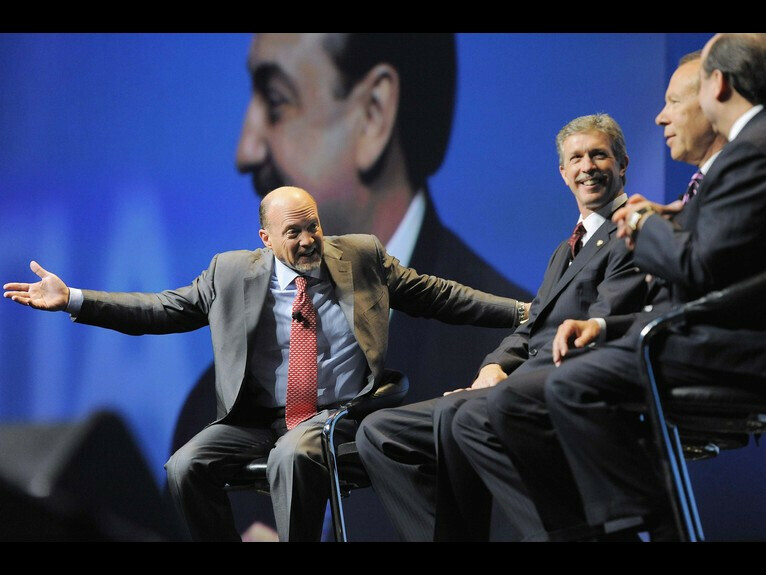 Carriers CEOs will gather for a roundtable discussion hosted by Jim Cramer. With CEOs from all four major carriers - Verizon’s Dan Mead, AT&T’s Ralph de la Vega, Sprint’s Dan Hesse and T-Mobile’s Phil Humm - in a round-table discussion with CNBC’s Jim Cramer feeling might escalate when it comes to the limited resource that is spectrum. Carriers have been struggling to lobby more airwaves for LTE and mobile data with the government, and CTIA seems to be the place where they’ll try to make their voices heard. "You're going to be hearing more from carriers about the things they can do with more spectrum," CTIA CEO Steve Largent said. "We are falling behind because other countries are rolling out new spectrum for their wireless carriers and we don't want to fall behind." The biggest news might come from T-Mobile, though, if the company reveals the first details around its upcoming 4G LTE network. We’ve seen T-Mo waltz around Sprint earlier, and we wouldn’t be surprised if the two carriers announce a joint effort for an LTE network. Sprint is in dare need of financials after spending billions on iPhone subisidies and its Network Vision program needs to move fast if it wants to catch up with Verizon and AT&T. Some controversies over undergoing deals might also get attention. T-Mobile has already spelled its concerns over Verizon’s attempt to acquire AWS bands from major cable companies, but T-Mobile itself is shopping for additional frequencies from AT&T. Devices: will we get surprised? 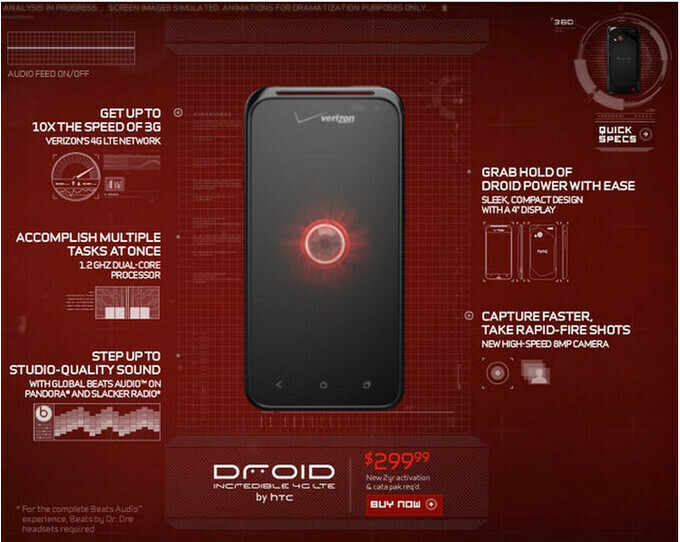 Verizon's Droid Incredible 4G LTE might arrive at CTIA 2012. Nokia might be catastrophically losing market share across the globe, but it did manage to warm up and rejuvenate its relationship with US carriers. First, the Lumia 710 on T-Mobile, and then the Lumia 900 on AT&T are both good examples of what the Finns to stateside. We can only theorize whether Nokia would bring any new devices to CTIA this year, but thinking about the match between the strong US focus of the show and the company’s ambitions for the US market, that seems like a possibility. There were a couple of disappointments with CTIA 2012, though. One of the companies that we admire most for its designs, will skip this year's show. 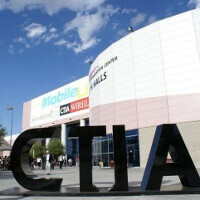 "Sony Mobile Communications will not be attending CTIA this year," Sony's PR rep, Chelsea Alexander, announced earlier. Well, hopefully we’ll see Sony back at CTIA next year. Finally, despite stealing much of CTIA’s flair with its own Galaxy S III-centric event, Samsung has the potential to release phones faster than most if not all phone makers. We wouldn’t be surprised to see Samsung-branded devices make their entrance on US carriers at the show, but our guess is that those won’t be high-end devices. Some mid-range warriors would still be welcome, bringing more variety to the phone industry and variety is something we always appreciate. We’ll be live at CTIA 2012! Overall, that’s what we expect to see at CTIA 2012. The best part is that the show might (and hopefully will) surprise us, and we’ll be ready to bring you those surprises straight from the showroom floor. Former president Bill Clinton has a keynote about technology also, so that's something to look forward to as well. And yes, we’ll be at the show covering the news as it happens, but while we’re getting ready for a busy next week in New Orleans, let us know what you wish and expect to see at this year’s CTIA in the comments below. I am confused. Why does the droid incredible have HTC Sense. it looks like a motorla phone, what is going on here, have i gone full retard? The DROID Incredible 4G LTE is made by HTC and has an updated version of HTC Sense. Sense 4.0 to be exact. Still want to know whether that dual core is the krait or not. Because if not most people will go with the HTC Rezound because its cheaper and has a better screen. you would think that, but HTC did also release the Sensation and then the Amaze on Tmobile only a few months appart with nearly the same specs + beats audio and a minor upclock on the processor. It should be an S4, but with HTC you never know. ...and the Motorola RAZR HD with Intel prosessor! Finally gonna see what Verizon has up its sleeve. A rumored Casio cammando 2. A rumored htc one variant. I'm so excited to be taking my first trip to CTIA. I wanna know if its true that Tmobile will get the Note which i hope so!!! Verizon looks like it's gonna have a bad year. Hopefully the Incredible 4G will be as thin as the One S, or that might be a turn-off for some customers. I haven't seen the specs for the Razr yet, how's the specs on that? Just saw the vs article between the Verizon devices, it seems that MAXX has better specs? Which comparison? The one with the Incredible 4G LTE in it? Yeah, it's under featured stories. S4 probably is better than what MAXX runs, but overall, I think MAXX is still better. Correct me if I'm wrong, I'm not too educated on mobile hardware tech. It seems like there is a lot of mystery for this event. Heard tonight t-Mobile has some big announcement about LTE.. Sprint has something about their rollout of LTE . The only phone I am interested is the Intel phone. Is Motorola going to be there? Maybe an Atrix 3? there's an Atrix 3 floating about out there. it's similar to what the Droid Razr MAXX HD is supposed to be.